Travertine tiles have always been one of the preferred floorings for people across the world. It contributes heavily to the aesthetics of a room by the beauty and luxury of the natural stone. It is a beauty enhancer and can be considered and an excellent addition to the home décor which will keep you proud for years to come. However, like all other types of flooring Travertine floors also have their pros and cons. 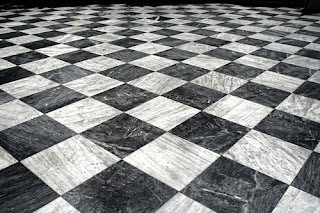 There are some limitations which need to be followed in these kinds of flooring. It is very important to decide on this flooring only after getting enough knowledge about the same. To gain knowledge on the subject, the first thing one need to know is what travertine flooring is. It is made of travertine stones which are a form of limestone created from various kinds of mineral deposits. It contains calcium carbonate, and it is especially known for its durability. The stone has a wide range of versatility in terms of colors and shapes. Travertine stones were used for construction for years with some of the heritage buildings of the world build by the same. The Romans were known to use it for their famous constructions in those days. These stones can be preserved with its original shine and beauty if proper care is taken. While purchasing travertine, it is important to check its hardness, and that can be done with the help of an MOH scale. Usually, the travertine stone gets a 3-4 rating on the MOH scale which is almost same as marble stones. These stones are found in different colors which include beige, ivory, red, brown and gold tiles with multiple finishes like brushed, honed, tumbled and chiseled. This versatility is one of the strongest features of such flooring that makes it apt with all kinds of interior decoration. Travertine tiles are products of natural limestone, and that is why they are extremely reactive to acidic products. It is alkaline in nature, so the acids from foods and liquids also tend to damage the surface. In the case of polished travertine, it can turn extremely slippery if it remains wet. It is quite vulnerable to breaking chipping or getting scratches. So the ideal way to protect travertine is regular cleaning, keeping the stones dry all the time, clearing spills as fast as possible and taking the help of cleaning professionals like travertine floor restoration companies or exclusive polishing companies like marble floor polishing in Miami who deal with travertine floor cleaning to retain its original charm and beauty.